Palani Temple is one of the six abodes of Lord Murugan. 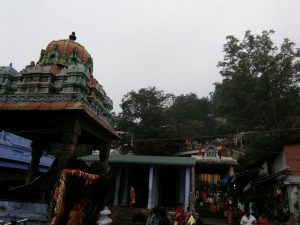 Lord Murugan was known by Dhandayuthapani. 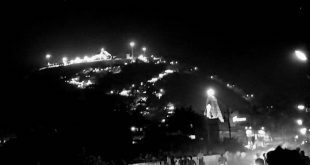 There lived a demon by the name Idumban, who carried Sivagiri and Sakthigiri hills by dropping them on either side of the rod. 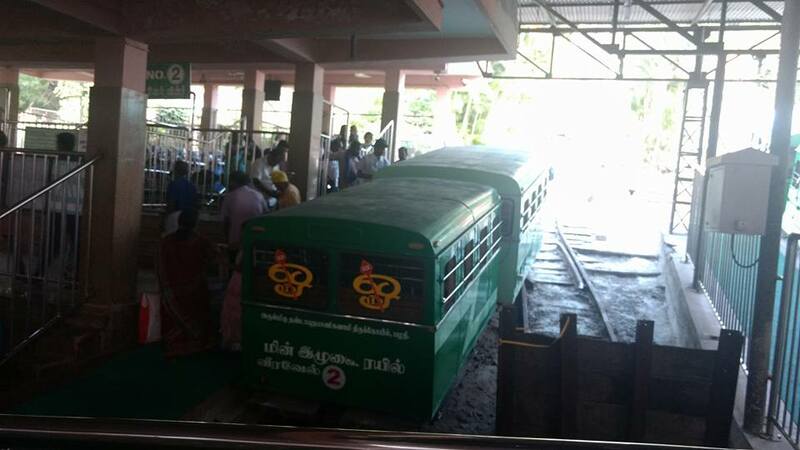 Idumban dropped the hills here at Palani to take rest before continuing further south. Murugan as a young boy climbed to the top of the hills and established his abode. Idumban was not able to lift the hills again and noticed a young boy who is claiming this as his own place. In a defiance battle, Young Murugan killed the demon. 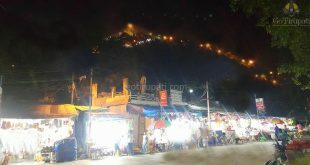 Just before death, demon prayed the Lord that whoever reaches this holy shrine with Kavadi should be blessed and also requested Lord to make him as a guardian for this hills. Lord Murugan granted both his wishes. Another interesting story associated with Lord Murugan abode at Palani Temple. 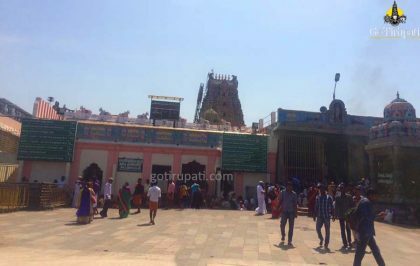 Once Sage Narada offered a glittering mango to Lord Siva and Goddess Parvathi and told them that the fruit can’t be cut as it may lose its properties. As Lord Siva can’t have fruit without offering to Goddess Parvathi, they decided to present this to one of their Child, Lord Ganesha and Lord Murugan. Goddess organized a competition that whoever goes around the world for thrice and finishes first will be presented with the mango. Murugan set off immediately on his vahanam peacock while Lord Ganesh went around his parents as they his world. On return, Murugan surprised to see Mango in the Ganesha’s hand. 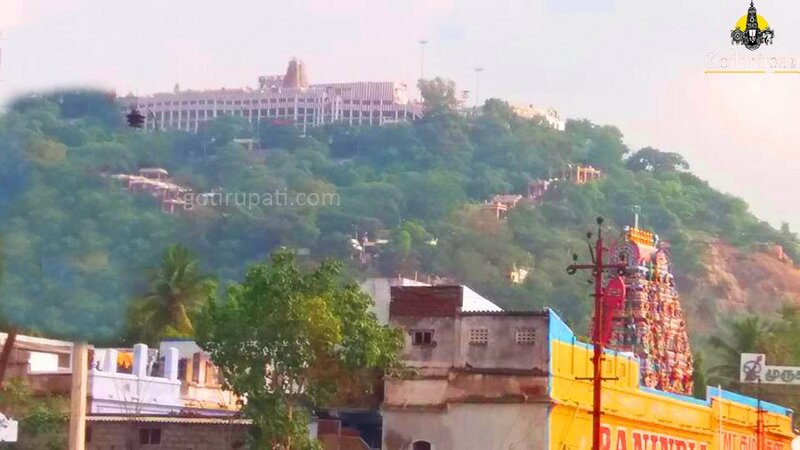 Angered Murugan, left Kailash and started staying on Palani Hills in the Earth. Lord Siva and Goddess Parvathi to please Young Murugan, said that “Pazham Nee”, which means “You are the fruit”. As the time passes by it got syncopated to “Palani”. The main deity inside the sanctum sanctorum is of 3.5 feet tall, is said to have been made by the famous Ayurvedic Doctor, Bhogar who lived 3000 years ago. This idol was made out 9 rare herbs called Navabhasanam. 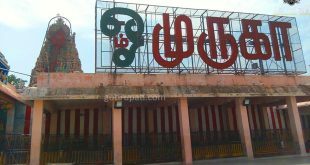 Palani is also known as Thiruavinankudi. 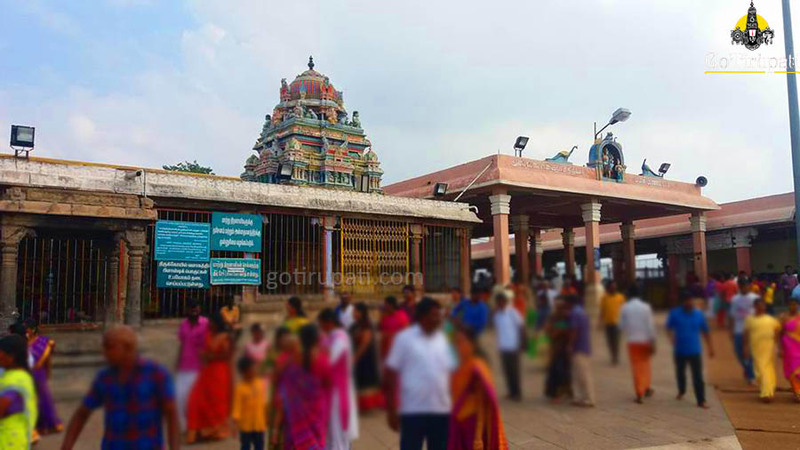 This temple was built by the King Cheeman Perumal from Kerala in 7th century A.D. Later this temple was renovated by the Nayaks and Pandya Kings, Navaranga mandapam was built during this time. This temple resembles south Indian temple architecture with Gopuras, Vimana, Pillared bays. 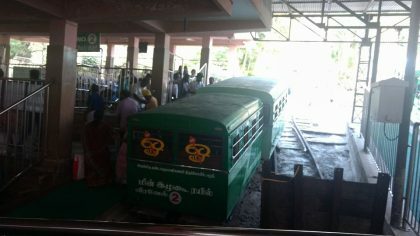 One way Trip Fare: Rs.15. 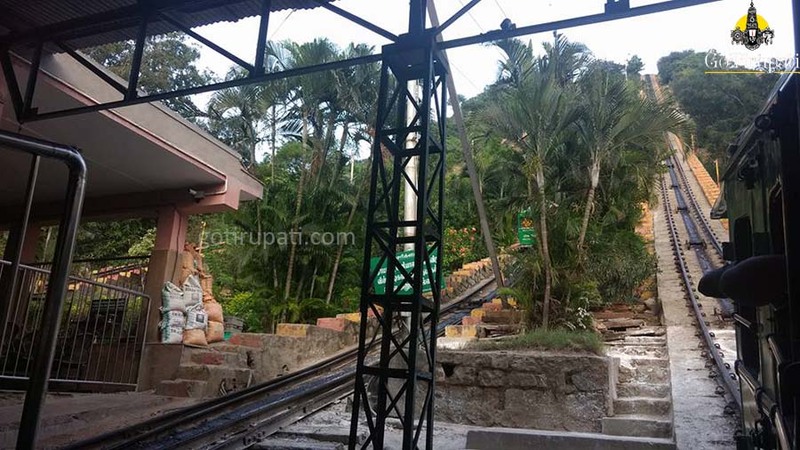 How to reach Palani Temple? 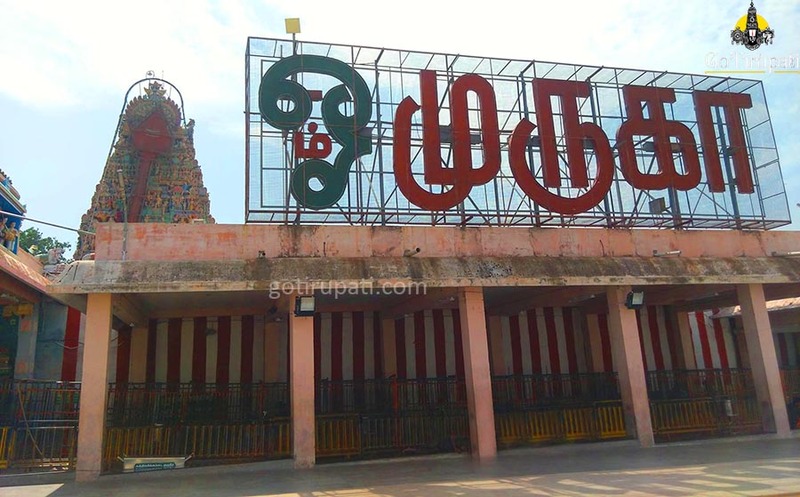 Nearest Railway station is at Dindigul, which is 60 km from Temple. Is there any particular timings for kid hair tonsure? 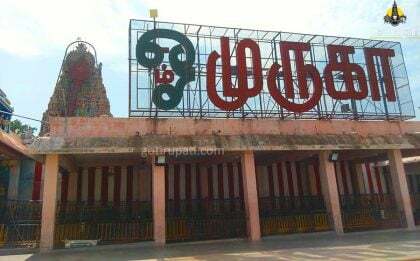 There is no particular hair offering charges in palani temple .